I need a new set of tyres for the Jeep as the hardly used ones I have on there have gone 'out of round' after it not moving for nearly 2 years - oops! Anyway, she has been in the garage for a week or two now and all the bits and bobs are coming together so she should be ready for the RTA test soon and so she needs some new boots. 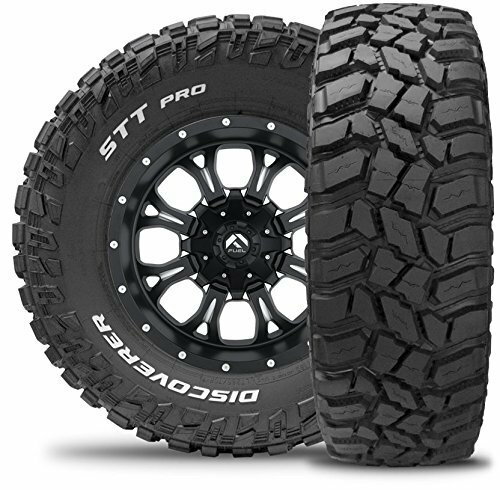 I currently have a set of 33x12.5x12.5" Cooper STT Pro's (chunky big bad boys) but willing to look at other brands. As I have no doubt already spent a fortune in the garage I am looking for a decent deal. Anyone know of any? Current cheapest I have found are 3,100 dibs for STT's balanced and fitted. Yokohama Geolander ATS? Came in at a very good price for my patrol. Thanks but these are a bit to road orientated for my needs. My Jeep is pretty much just on off-road toy so chunky is whats needed. I got these for my truck recently. Curious as to how much you paid. Mine were Geolander HT, made in Thailand, 2200AED for four. I was a good bit cheaper than that for my 275/70R16s - though I drive a hard bargain! Very pleased with them on sand but will use my BFGs for rock crawling! Where did you get them, for future reference! Al ain - cant remember the name of the shop tho, sorry!